This article describes a User Defined Function that lookups values in multiple cross reference tables based on two conditions. 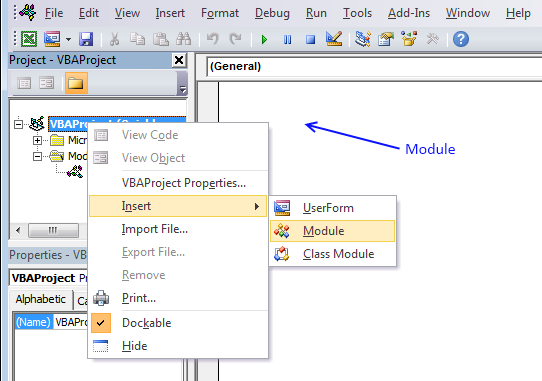 A User defined function is a custom function anyone can use, simply copy the VBA code and paste to your workbooks code module and you are good to go. The custom function demonstrated in this article accepts an arbitrary number of range arguments (table ranges). The custom function returns the first match in each table if there is a match. xaxis Required. The x-axis condition you want to search for. yaxis Required. The y-axis condition you want to search for. cellrange1 Required. The range you want to add. [cellrange2] Optional. You may have up to 255 additional argument cell ranges. I get errors when I change C17 and 18. 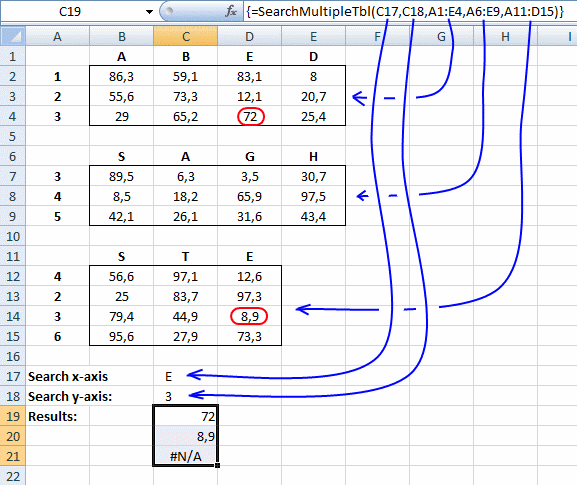 And when I change D6 to "E" the results are 72,42.1 and 8.9. it appears they should be 72, 31.6, and 8.9. Why is the second number returned under results "42.1"? please help me understand. You are right, there was something wrong with the code. 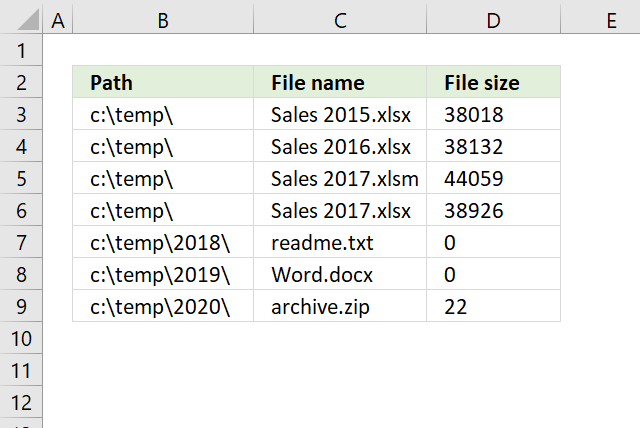 I have changed the vba code and uploaded a new file. Thanks for sharing this extremely useful logic. 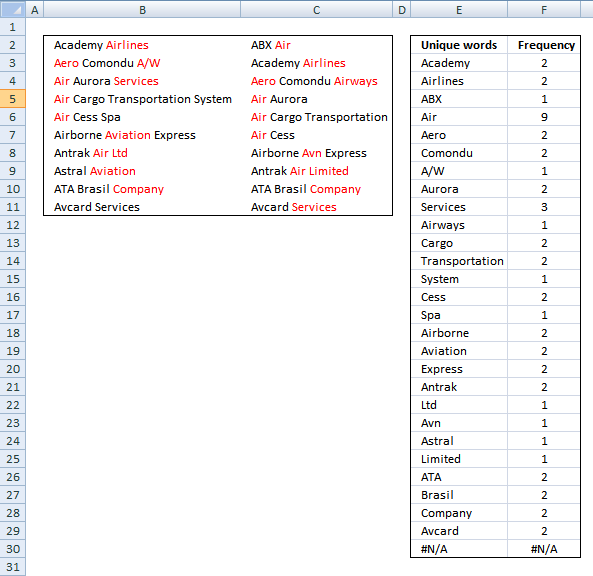 I set up the data table above and have tested the Function. 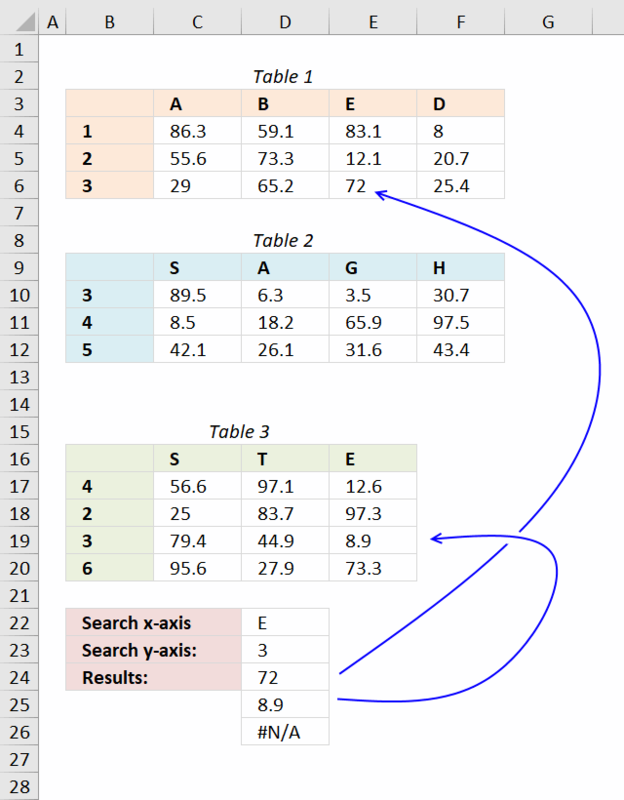 If the x & y value are in the first table (Table 1), everything works fine. 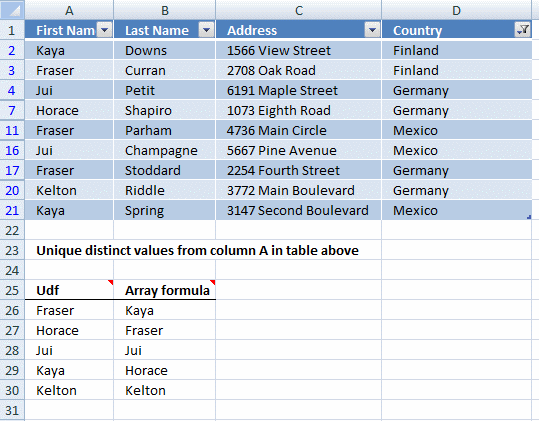 If the data is not in the first table, but the second or third table, then it returns "#VALUE!" Is there something I am doing wrong or is this a possible bug in the function? you are right, it is a bug. I have updated this article and the attached file.